Is your population open or closed? Roosevelt Gate, Yellowstone National Park – a closed population for some species but open for others because fences, roads and ranches are not barriers. Population biologists call confined populations closed because animals cannot arrive (immigration) from other places or leave (emigration). Populations where these things are possible are called open. Our approach to the conservation or management of wildlife depends on whether the population of interest is open or closed. The rhinoceros in a fenced African reserve surrounded by an agricultural landscape in which they would be unwelcome is a closed population. 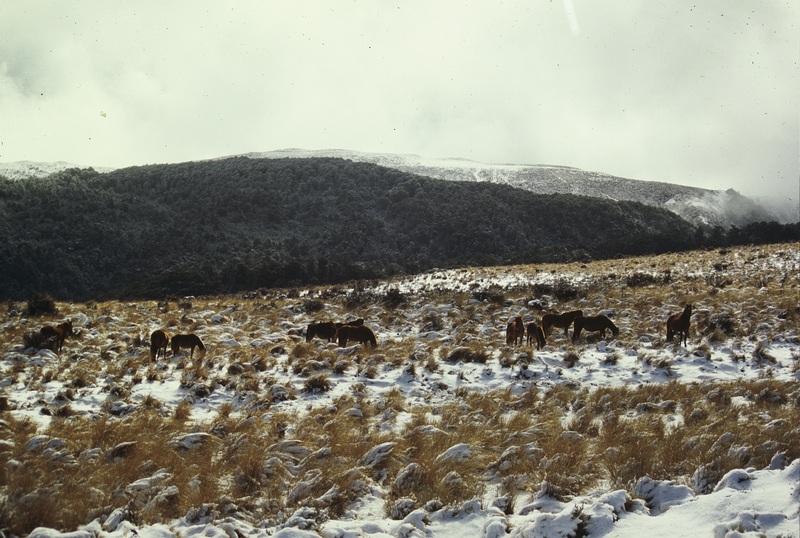 The feral horses of the Argo Basin in the Kaimanawa Ranges, New Zealand, are an open population because horses may move between it and adjacent areas also with feral horses. 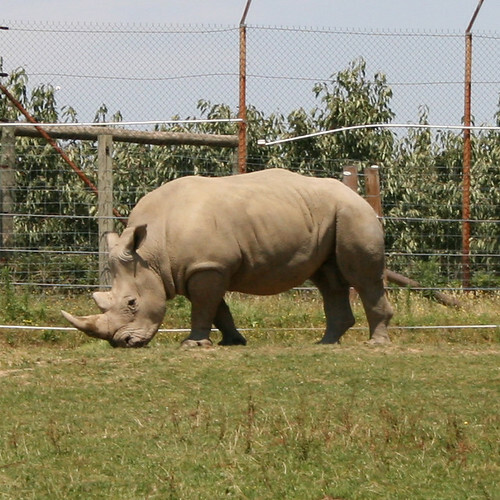 Rhinoceros in fenced reserves are closed populations – animals cannot arrive or leave. A population does not need to be fenced in to be closed. Inhospitable habitat, because it is unsuitable or modified (e.g., urban or agricultural landscapes), and impassable topography, like mountain ranges or rivers, might prevent animals arriving or leaving a population. At the largest scales possible all populations are closed because they are confined to a continent or planet earth. But wildlife conservationists or managers can seldom act or are seldom required to act at this scale and so smaller populations are defined. Populations measured at smaller scales are more likely to be open. Over long periods of time all populations are open because the features of the landscape that might prevent animals arriving and leaving change. Habitats change and even topographical barriers appear and disappear – rivers dry up or change course, mountain passes are opened or blocked. Populations measured over shorter time periods are more likely to be closed. Some feral horse populations are open. They are unfenced and exchange members with other horse populations in other areas, including the capture of wild horses and release or escape of domestic horses from ranches. Whether your population is open or closed therefore depends largely on your objective and how you need to define your population. Attempts to measure populations within political boundaries like your county, state or country will need to consider that the population is open – animals have no respect for the imaginary lines people draw on maps. A geneticist measuring changes in a population over many millennia is much more likely to be working with an open population – even rare immigration by single individuals can radically change the gene pool. An ecologist estimating a population’s growth within a forest or river basin is more likely to be working with a closed population – the rate of animals arriving and leaving might be so low that it can be ignored, especially over shorter periods of time. In future posts I will consider the implications of populations being open or closed for wildlife conservation and management, especially for estimating or predicting population growth and decline. the excellent quality writing, it’s uncommon to look a nice blog like this one these days.. Thank you for your kind comment. This weblog is my way of beginning a book while engaging with a potential readership. It is feedback from readers like you that I will use to refine the scope of the book and content. Please share my weblog with others intersted in these topics. You can also find me posting on facebook (https://www.facebook.com/wayne.linklater.9) and twitter (@Perissodactyla) on these topics.